Sundance Film Festival announced it's 2013 line up of In-Competition films. 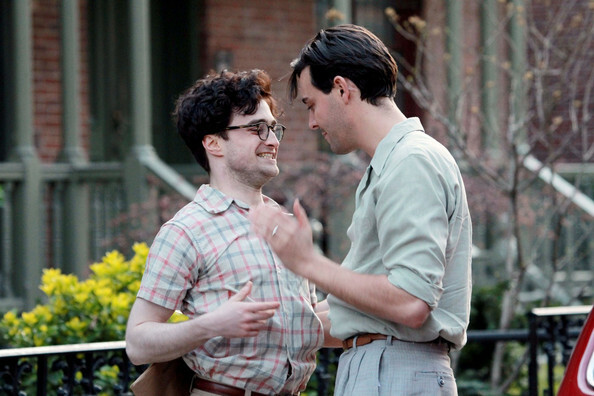 Daniel Radcliffe's Kill Your Darlings will premiere at the festival. Other films confirmed to screen at Sundance include Octavia Spencer's drama Fruitvale and Rooney Mara's new movie Ain't Them Bodies Grand. The film festival will be held between 17th and 27th January 2013, out in Park City, UT. I'm very excited to go to Sundance for the KILL YOUR DARLINGS premiere on January 18th and reunite with the other beats. I've already got my warm coat ready! For the 2013 Sundance Film Festival, 113 feature-length films were selected, representing 32 countries and 51 first-time filmmakers, including 27 in competition. These films were selected from 12,146 submissions (429 more than for 2012), including 4,044 feature-length films and 8,102 short films. Of the feature film submissions, 2,070 were from the US and 1,974 were international. 98 feature films at the Festival will be world premieres. Kill Your Darlings / USA. (Director: John Krokidas, Screenwriters: Austin Bunn, John Krokidas) — An untold story of murder that brought together a young Allen Ginsberg, Jack Kerouac and William Burroughs at Columbia University in 1944, providing the spark that led to the birth of an entire generation – their Beat revolution. Cast: Daniel Radcliffe, Dane DeHann, Ben Foster, Michael C. Hall, Jack Huston, Elizabeth Olsen. when this film will be released and will it be in France? The premiere is, as posted above, at the Sundance Film festival next year. The release dates for theaters have not been released yet.